The Student Promenade and Commons is phase two of the campus enhancement improvements first started with the Campus Gateway in 1999. The vacation of Westmoreland Avenue provided the opportunity to create a public space between the two major buildings on campus, the historic Bullock’s Wilshire and Westmoreland buildings. 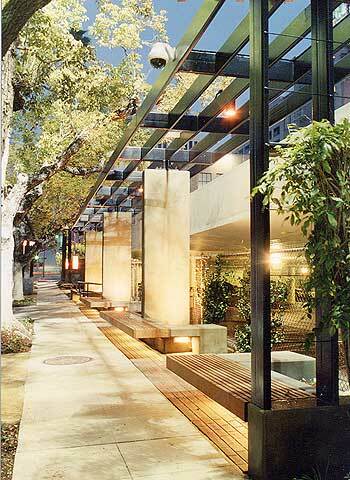 The 400 foot long Commons contains a much sought after lawn space and ‘path of honor’ walkway that is defined by a pattern of concrete light piers and paver banding first started along 7th street.